I am a new Ubuntu Linux user. My laptop has Nvidia GPU. 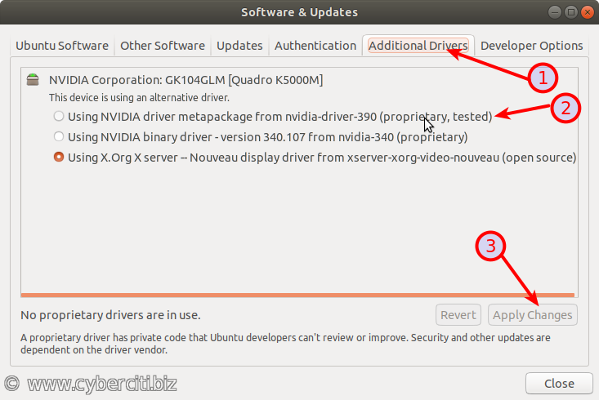 How do I install Nvidia drivers on Ubuntu Linux 16.04, 18.04, 18.10? Introduction: Nvidia graphics processing units (GPUs) used for gaming and professional use in offices. Nvidia GPUs used in data centers, visualization, automobile industry, and artificial intelligence. By default X.org X server use nouveau free/libre software drivers for nVidia cards. The nouveau driver generally provides the inferior performance to Nvidia’s proprietary graphics device drivers for gaming and other professional use. 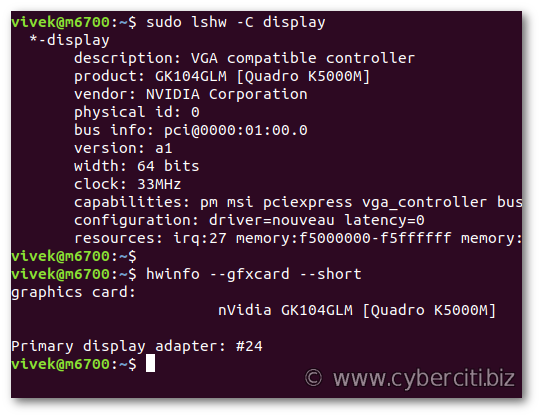 This page shows how to install Nvidia GPU drivers on an Ubuntu Linux desktop. Let us see all commands in details. 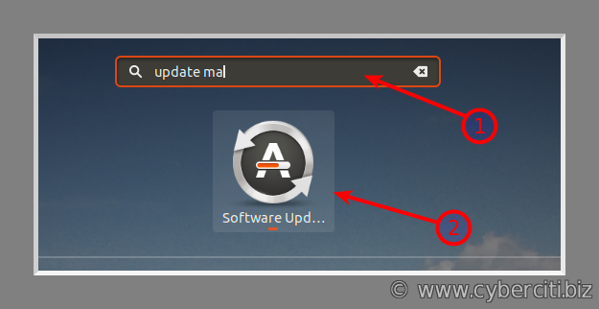 See “Linux Find Out Graphics Card Installed In My System” for more info. Now skip to the driver verification step. Now go to the driver verification step. The nvidia-smi command line utility provides monitoring and management capabilities for each of NVIDIA’s Tesla, Quadro, GRID and GeForce devices from Fermi and higher architecture families. You can see running apps on your GPU and GPU temperature. 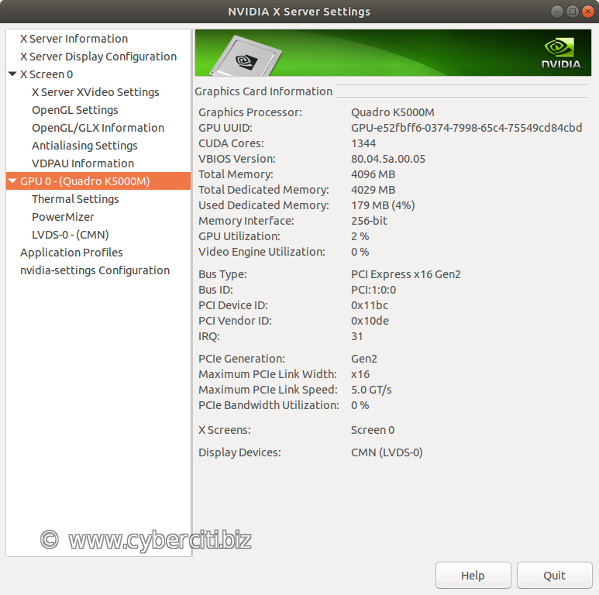 How do I configure the NVIDIA graphics driver? 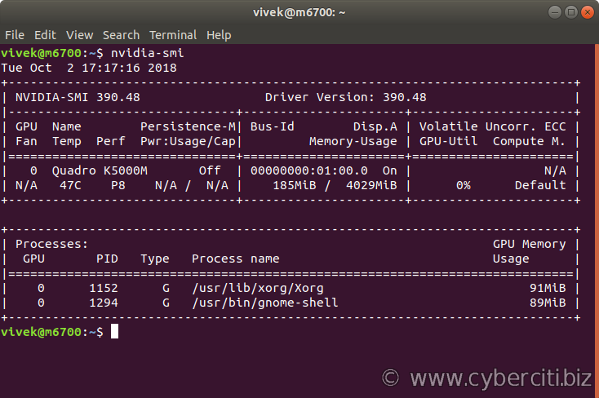 You learned two different ways to install Nvidia Driver on Ubuntu 18.04 Linux. Obviously, the GUI method is simple and easy to use. The CLI method is useful for server installation. For more info see official Nvidia Unix/Linux driver page here.